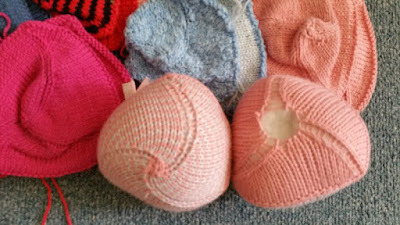 huisVLIJTIGLIESJE: Tricot Tieten Nieuw! Kitted Knockers New! Voor Tricot Tieten heb ik mijn "taakje" voor januari klaar: 32 nieuw gebreide Tricot Tieten (gebreide borstprotheses). Allemaal geïnspireerd door Knitted Knockers in Amerika. 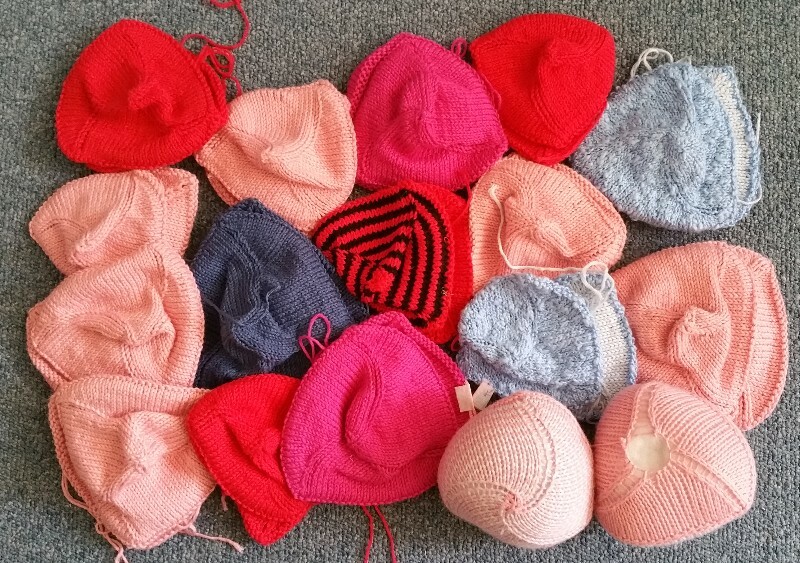 For Tricot Tieten I finished my Januari-goal: 32 new-knit Knitted Knockers (knitted breast prosthetics). It is inspired by Knitted Knockers in America. Beside the virtuous (pink) breasts you can see colour and structure/fabric variation. Here are also visible the different (cup)sizes. In this detail you can see the front and the backside. It is clear that you can re-open it as often as you like to (re)fill and personalize them.